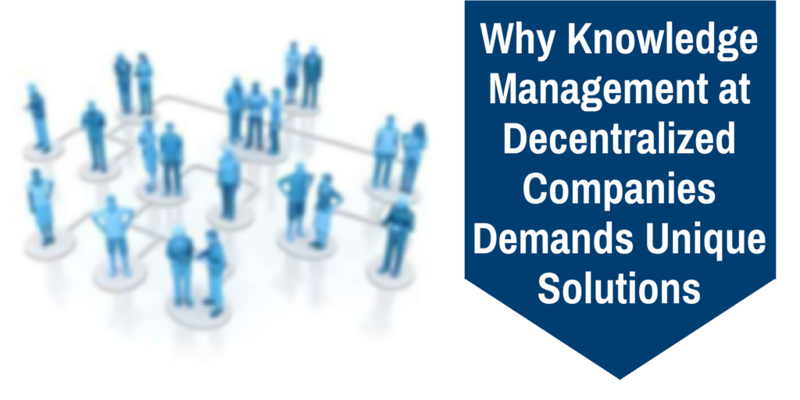 I talked to Diego Fernandes, knowledge management senior analyst at Odebrecht, about engaging people in knowledge sharing at a decentralized company. Diego Fernandes will be a breakout session speaker at APQC’s 2017 Knowledge Management Conference April 27-28. You can learn more about APQC’s 2017 KM Conference here. APQC: In a decentralized company where employees have no formal obligation for knowledge sharing, how do you create a culture where KM is viewed as important? Diego: Odebrecht’s culture is focused on results. Then, KM has to add value to members’ (i.e., employees’) tasks in that moment. We need quality, current, and useful content to be used today, instead of knowledge to be used only in the future. KM is highly linked to what the company needs; this is the greatest value at Odebrecht. APQC: In your presentation, you plan to talk about KM in terms of three activities: recording, disseminating, and reusing. Which of those is the most difficult to do well and why? Diego: The three challenges are important and complementary to one another. The first big challenge is to create a recording culture; people are not used to recording their daily doings and many see knowledge as a source of power so they keep it private. We take disseminating as a second challenge, so our team has to encourage members to disseminate among their peers, their core business, and all over the organization, reaching other businesses also. The third challenge, we believe, is the most difficult: In an innovative and creative company, members want their own solutions and they are proud of them. To them, reusing may seem like weakness and we need to signalize it as a virtue instead. Reuse is only possible if the right knowledge is recorded and reaches those responsible for new projects in progress. So, recording and disseminating have to be in a constant flux to provide the right information to reuse and to contribute to productivity. People don’t need to reinvent the wheel. It’s possible to consult the foundational knowledge and look at what has been developing throughout the organization to evolve from a more advanced starting point. This is the virtuous cycle! APQC: How does your organization ensure that all generated knowledge can be used as a source of future learning? Diego: To ensure the generated knowledge is a source of future learning, it is important to act on two fronts: recording and making available. During the recording phase, follow methodologies that contribute to the extraction of the most valuable knowledge. As an analogy, the most important to KM is the making of the movie, not the finished movie itself. Many in the company come from a generation where there was no repository of recorded knowledge, and they’re not used to consulting it. However, the new generation comes with an idea to “researching before doing”—younger employees come from the Google culture, which makes the process easier. All Knowledge Network programs provide content as a learning source and also use content from other programs. For example, our technical training programs generate highly qualified content, with renowned experts in their occupation areas. Afterwards, this content becomes available in an image bank and can be reused in communities of knowledge (i.e., communities of practice) web seminars. The content is also accessible via Busca.Odebrecht (i.e.,“Search.Odebrecht”) so that, if any member is experiencing a challenge, he or she can find this information quickly and easily. Platforms are most useful and valuable if they are interconnected and especially if the member realizes that. APQC: Odebrecht’s Knowledge Network has been in place for 24 years, which means it has had to adjust to many waves of technological change. What has been the biggest challenge in moving your KM efforts from face-to-face to online? Diego: Due to our decentralization, we always did KM so that one business could help another with its growth. As an example, at Odebrecht Environmental constitution, technical certificates of Odebrecht’s engineering were used until the new company had its own documents. We already managed this knowledge, but only on paper; the move to digital facilitated this intersection, never forgetting the focus on the content. In 2000, we made the mistake of starting with and emphasizing the new technology. At that time we did an internal survey to verify why the tool was not accessed very frequently; when members were questioned about their daily work needs, we identified that everything was there. That’s when we realized KM must be focused on people (not tools), so we changed the concept. Nowadays, people are connected all the time; this is the new reality. We came to understand the members’ needs; the tool is just a detail. But this face-to-face to online change, it’s difficult to set out the results from in-person to online events. We tried to neutralize the distance with dynamics, such as promoting discussion rooms in their environment (work sites and offices in each country/states) while transmission was occurring. In general, the change to online has brought benefits, such as more participants and a bigger geographic reach, because the ,ember is able to access from anywhere in the world without the costs of transfer and hosting, besides saving time. APQC: What do you see as the key to sustaining a KM effort over such a long period of time? Diego: We need to keep up to date with the company's qualification needs, to keep it strong and alive in the market. In the communities of knowledge program, we recently created the a community around user-client relationships, which focuses on the organization's new reality related to dealing directly with its final customers in businesses such as road and rail transportation (Odebrecht Transport), real estate development (Odebrecht Real State), and water and sewage treatment (Odebrecht Environmental). Together, members from these different businesses can share experiences and learn from one another’s mistakes and successes, thus increasing productivity.